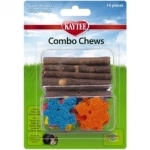 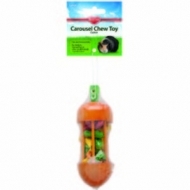 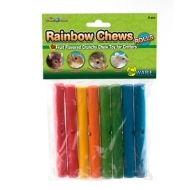 to provide a wholesome chew treat for small pets. 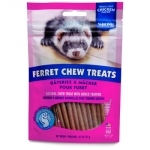 combination of tastes and textures for critters. 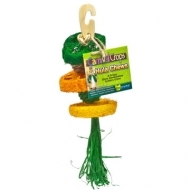 healthy play time for small animals. 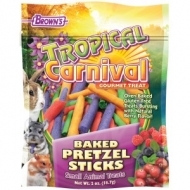 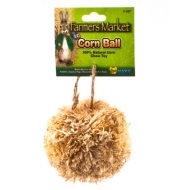 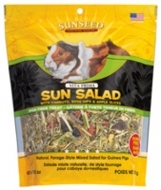 Tropical Carnival® High C Small Animal Treat is a great way to provide a natural source of Vitamin C specifically required by guinea pigs. 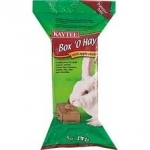 KAYTEE® Box ‘O Hay treats start with timothy hay, an excellent source of the natural fiber small animals need for proper digestive health. 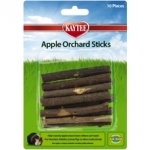 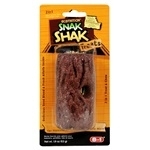 Real all natural Apple Sticks that critters can't resist. 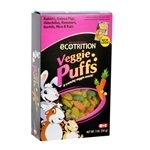 Vegetable flavored, nutritious puff treat. 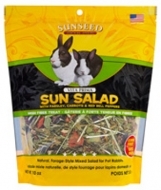 Mixed treat with crunchy whole grains, banana, coconut & carrots.